Add a dot of spread to each end of your rectangle cookie. However many dots you want on each end. Add a line of frosting in the middle. 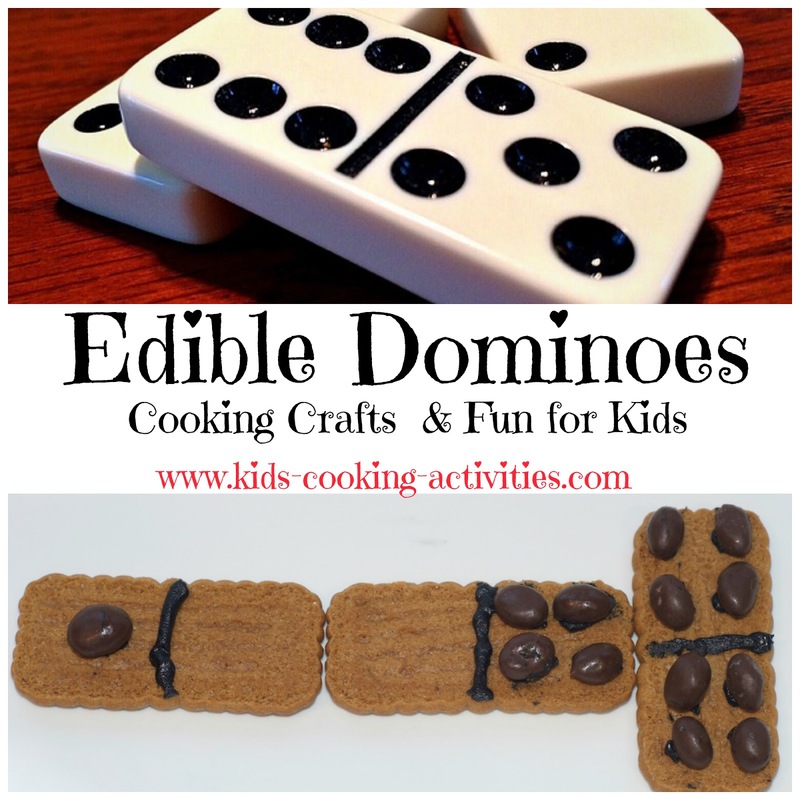 **Play dominoes and eat a snack as you play. It really is a simple craft that can be a lot of fun with the kids.